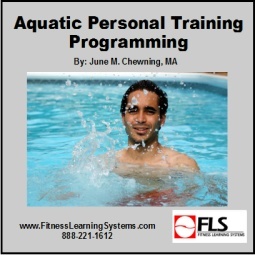 Learn how to properly and effectively alter intensity in the aquatic environment. Discover theories why aquatic heart rates are lower in the water than comparable exercise on land. View base movements for shallow water exercise. Be able to plan basic, intermediate, and advanced transitions for your exercise sequences. Discover formats that work well for shallow water exercise. Discover formats that work well for deep water exercise. View base movements for deep water exercise.